I love Mel Brooks. What a great line. 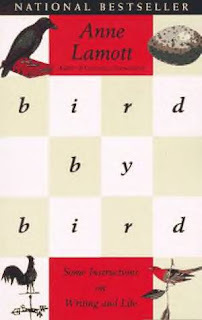 Anne Lamott must like him too, because she brings up this interesting point in her book on writing and life, Bird by Bird, an ode to anyone who struggles with one or the other, or both, period. It’s easy to lose our inner broccoli. As children we have it in spades. We’re born with no inhibitions, no preconceived notions as to what’s good and what’s not good. Like with broccoli for instance, we automatically assume it tastes great, after all it’s such a pretty bright green even if it does look like the bush next to the front porch. The loud voice in our little head is open to new ideas like a sponge, something we adults sometimes call truth. For children, truth is like water vapor in a room on a humid day, it spreads to every corner of the empty space. As adults we gather that water like a fierce unforgiving rain cloud. Then we stomp it into the corner with our boot, and turn up our nose and say, “I wouldn’t eat that, it tastes like a tree,” or “You don’t need to know that,” or “Because I said so, that’s why,” until the loud voice becomes softer, a sound wave headed away from us, until eventually we hear nothing at all. I love the way you describe this book and you've inspired me today! I really feel like I should read it! I adored this book...its practical and fun. But broccoli is such a pretty little flower, straight from Munchkin-land. One of my children eats it, loves it in fact. Who knew?? I don't know what's wrong with him. Julie take Serena's word for it. Get it from your libary today! this sounds like a great book. I even own it somewhere! Rebecca - it's a tiny book. It may be squished in between two fat books somewhere, crying out to be read. It's definitely worth it.